General TV Channel / On 17 August 1999, a television network was formed in Taiwan under the Tzu Chi Foundation of the Culture of Communication, Inc with the slogan "Love to make the world light up". 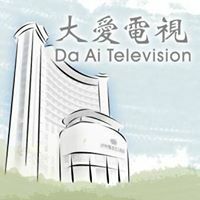 Formally known as Da Ai Television, the network grew into a global broadcasting presence with offerings of a radio service, Tzu Chi Channel 1, Tzu Chi Channel 2, Da Ai TV Indonesia, Da Ai TV Thailand, and Da Ai TV Egypt. Live streaming of Channel 1 and 2 can also be found on YouTube. Buddhist Compassion Relief Tzu Chi Foundation, Republic of China is worldwide throughout 47 countries. It is operated by a worldwide network of volunteers and employees and has been awarded a special consultative status at the United Nations Economic and Social Council.